Since 1992, Steve Bonanno has concentrated his practice in commercial transportation litigation, products liability, construction accidents, premises liability, third party liability for criminal attacks and wrongful death. He regularly tries cases to verdict in these areas and also handles binding and non-binding arbitrations and frequent mediations, as well as litigation in both state and federal court. A substantial portion of Mr. Bonanno's practice involves the defense of commercial transportation companies, including taxi cab, limousine, school bus, medical transport, ambulance, railway and trucking companies. His clients have included Yellow Cab, Checker Taxi, Wolley, Blue Diamond, Flash, Chicago Carriage Cab, Blue Cab, Village Cab among others. 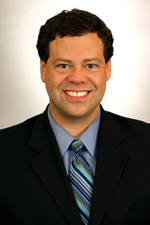 Mr. Bonanno joined Hinshaw & Culbertson LLP in August 1992. He became a partner in 1998. During his tenure with the firm, he has served on the firm's Hiring Committee and also as an instructor for various courses at Hinshaw University, a continuing education program for lawyers in the firm. Mr. Bonanno is a mentor for the firm's Summer Associate Program. Mr. Bonanno has written articles and given presentations both within Hinshaw and in CLE programs on a variety of topics, but with particular emphasis on issues that arise in commercial transportation litigation. His presentations include "Analysis of Illinois Case Law on Agency in the Taxi Cab Context," which he has presented to a number of transportation industry clients. "Recent Developments in Animal Tort and Insurance Law," co-author, American Bar Association's Tort Trial & Insurance Practice Law Journal, Winter 2011. "Has the Illinois Structural Work Act Been Preempted by O.S.H.A.?" co-author, Fall 1993 IDC Seminar, Galena, Illinois, 1993. "The IDC Monograph: Third Party Practice Following Kotecki," co-author, IDC Quarterly, Vol. 2, #2, 1992. "Privity, Products Liability and U.C.C. Warranties: A Retrospect of and Prospects for Illinois Commercial Code Section 2 318," John Marshall Law Review, Fall 1991. "Smith v. Eli Lilly: Illinois' Rejection of Market Share Liability is Cause to Celebrate," John Marshall Law Review, Summer 1991. Steve is a member of the United States Ski Association and Chicago Metropolitan Ski Council (CMSC), where he is the Race Director for the Midwest's largest Alpine ski racing league.